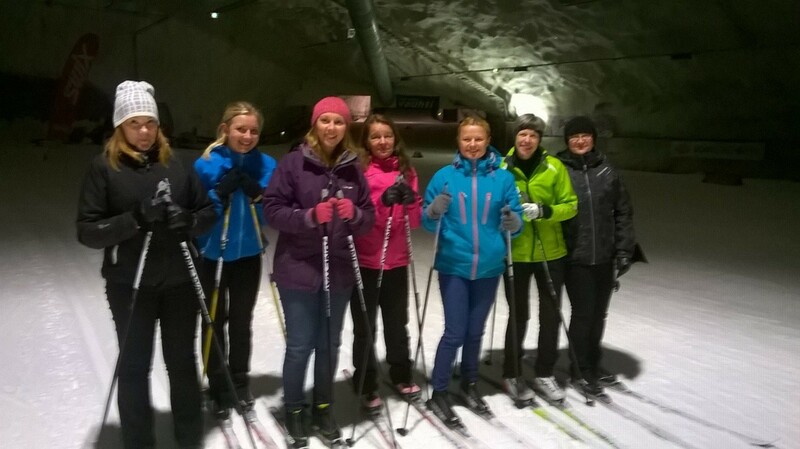 ASCOT team goes to Finland! Last week we (Kamilla Razik and I) flew to Finland to visit colleagues at Diak University, Pieksamaki. Our flight was around 9.30am from Gatwick, so leaving Kent at 5.30am should have left plenty of time to checkin, get through security, and still have time to browse the duty free and find some British treats for our Finnish friends. However, the ‘Great British Motorway Network’ had other ideas and, following long delays on the M25 and M23, we made it to our gate with 5 minutes to spare (sans chocolate chip shortbread and Union Jack mugs). Finland is a vast and beautiful country and, to get to our final destination, we were required to take an internal flight from Helsinki to Kuopio, followed by a taxi to Pieksamaki. We were immediately struck by the almost deserted roads, a stark contrast to our grid-locked experience in the UK earlier that day. The Finns are entering into their period of winter darkness and, whilst the weather was unusually mild during our stay, people’s daily routines had begun to adjust. In contrast to the long days of summer, in the winter months it is usual for people to get home and stay there! Fortunately, one of our hosts, Aija Kettunen, met us at the hotel and gave us a moonlit tour of the local area, followed by a much-needed meal at a local restaurant, where we could discuss the plans for the next day. Contrary to how it might appear, this was not a holiday but a work trip! Kamilla and I were there to talk about outcome measurement in social care, giving an overview of the Adult Social Care Outcomes Toolkit (ASCOT) and explaining how local authorities in England have used information about the outcomes of service users in policy and practice (see the MAX Project for further information). Much like the UK, Finland is experiencing increasing policy emphasis on user choice and control. ASCOT has already been translated into Finnish and used by colleagues at Diak University in research exploring the impact of user choice on quality of life (see a summary of this research in English). We presented to an audience of academics, providers and policy makers, and were filmed for a live webinar stream for those unable to travel to the seminar in person. 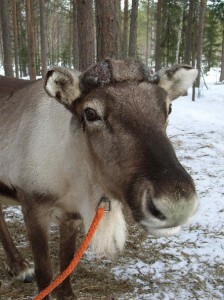 During our stay we were fortunate to be taken to two Finnish care homes. The first was for older people and was a mixture of supported housing (akin to ‘extra care housing’ here in the UK) and nursing/residential care. The second was a small group home for adults with intellectual disabilities, and aimed to bridge the gap between care home and independent living. Overall, I felt there were more similarities than differences in the style and ethos of the care provided in these homes and the care provided by similar services in England. The home for older adults was larger and more institutional than the home for younger adults, which operated more as a family home. In the home for younger adults, we were encouraged to join those living there for tea and cake, and residents were encouraged to show us their rooms and join in the conversations (through our very kind translator). They had use of the whole house, including the kitchen, and had access to outdoor space and livestock. By comparison, the home for older adults appeared purpose-built, meals were provided by the staff, and many residents appeared to be sedentary, with activities occurring according to a timetable. One difference was very apparent, however. 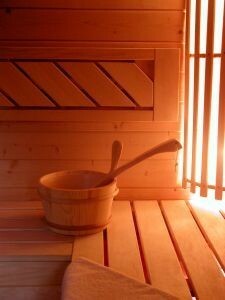 Both homes had their own saunas, and residents were encouraged to use it three times a week, minimum. The managers in both homes noted that this was an important part of maintaining residents’ health and well-being. Given the flourishing endorsements, it would have been rude not to try this Finnish way of life for ourselves! That evening we were taken to a sports hotel for cross-country skiing, followed by a swim and Finnish Sauna (with bathing suits on – we are not quite that Finnish yet!). Such an experience! Having never set foot in a pair of skis before, I was anxious and excited in equal measure. However, after an hour on the snow, at temperatures of minus 5 degrees, I was hooked! Ann-Marie Towers is a Research Fellow at the Personal Social Services Research Unit. Kamilla Razik is a Research Assistant at the Personal Social Services Research Unit.